Custom forms are quite possibly the most powerful gear you've ever used. Check out the amazing use cases below to see how custom forms can get you new business, save you hours of time, and streamline your workflow. 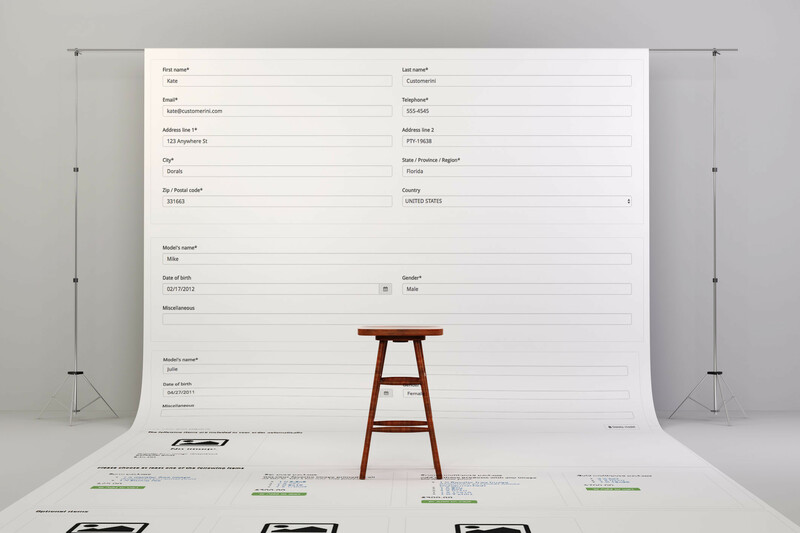 Create a lead form and embed it on any website to find new clients for your photography business. Get all the info you need to quote on a wedding, portrait or newborn photo session. Follow up with clients to get great feedback so you can improve your business and collect testimonials. Have customers register, make pre-payments or deposits and schedule their photo session. 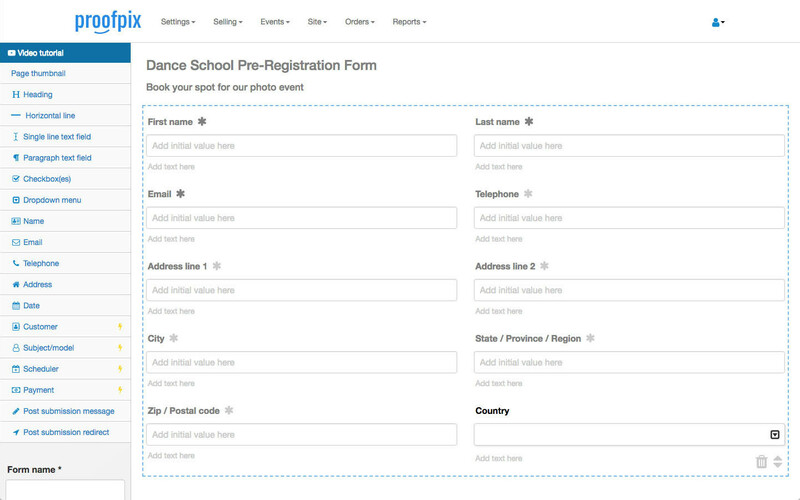 Add the Customer element to the form - all the customer form fields are added with just one click. 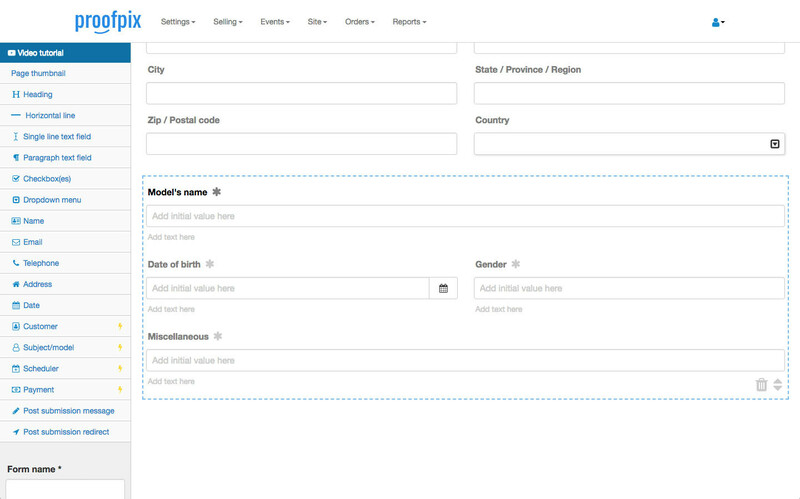 Add a Subject/Model element to the form with one click. The customer filling out the form will be able to add as many subjects/models as required. Imagine a mom (customer) informing you that she has three kids (subjects) to photograph and you can collect their names, ages and number of costumes they're bringing. 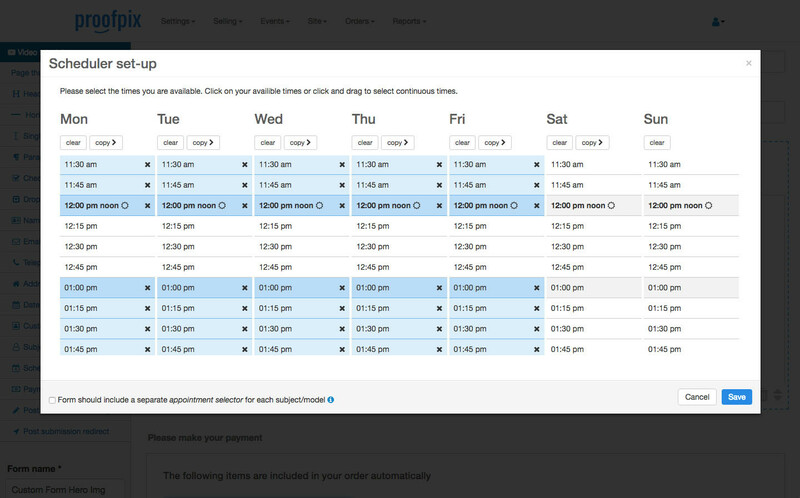 Inform the system of the times you will be available on the shoot and how long the average session takes and the system will build a time picker that makes it super easy for a customer to schedule their time and yours. 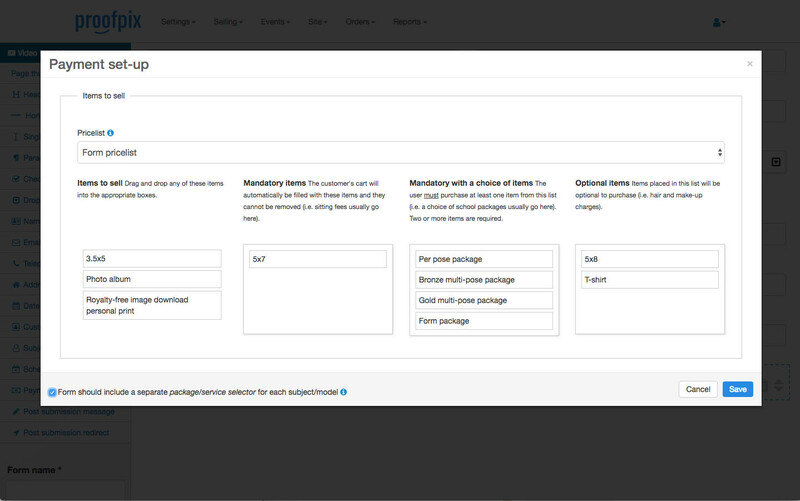 Create a message to display to your customers after they have submitted the form. The customer is added to your personal CRM database. The customer is also added to the event's Known Customer list and can be emailed an invitation to the event as soon as it is ready to be viewed. If you use GalleryMagic, a gallery is automatically created for the family or one per model/subject, you decide saving you a ton of time spent manually create galleries. An order is created that inlcudes the products they customer pre-purchased. After the event goes live, the customer can simply fill their products with their favorite images. All parties are emailed a receipt for the purchased items and/or services. 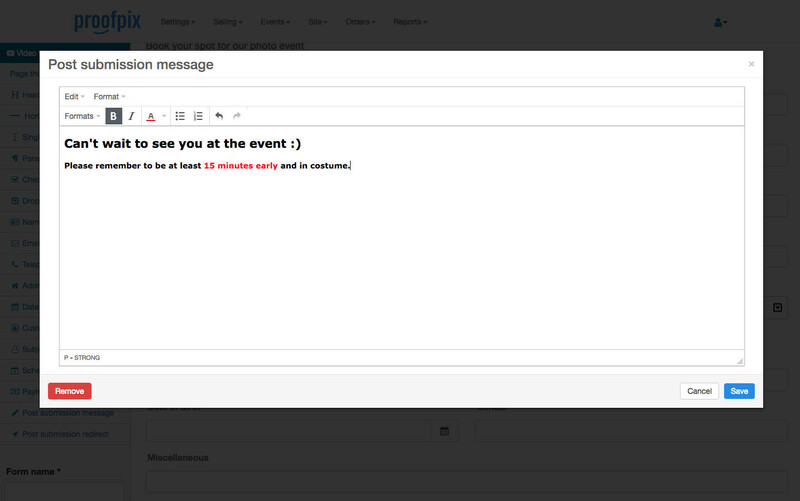 You are emailed all the form data so you can easily add the appointment to your Gmail or iCal services.